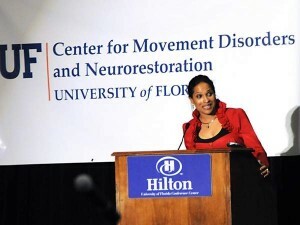 Rasheda Ali (ACDBE/DBE Certified) is an internationally known Author, Speaker, Spokesperson and PD Advocate who wrote, “I’ll Hold Your Hand So You Won’t Fall – A Child’s Guide to Parkinson’s Disease”. As an advocate of stem cell research, she travels all over the globe raising awareness and funds for Neuro cognitive disorders in order to help give encouragement and hope for families struggling with these conditions. Her vast travels have included venues all over the United States, Canada, London, Paris, Madrid, Luxembourg, Poland, Australia, New Zealand, South Africa, Buenos Aires, Argentina, and Jerusalem, Israel. Rasheda has appeared on many national and international shows such as “Dateline With Katie Couric”, “Good Morning America”, “The Hollywood Insider with Pat O’Brien”, CNN’s Special “Daughters Of Legacy”, “The Today Show”, “Your World With Neil Cavuto”, FOX News-“The Strategy Room”, “EXTRA” and “New York Nightly News With Chuck Scarborough”.